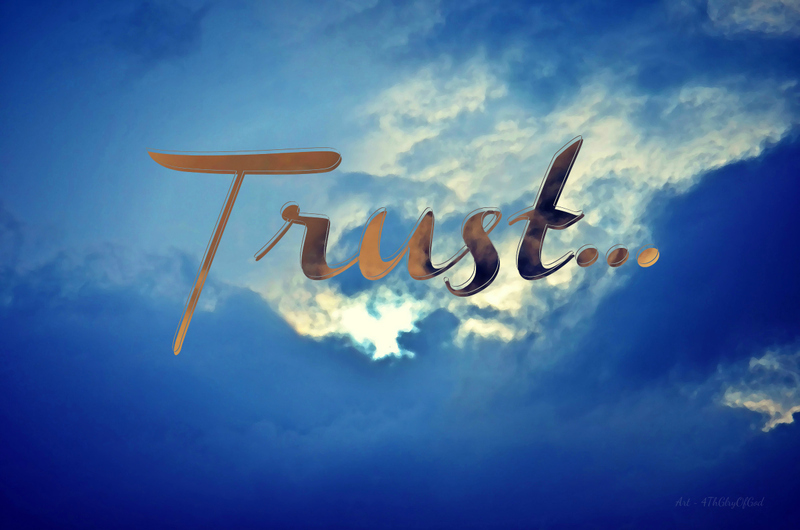 There are so many things that we put our trust in… we trust that our cars will start when we put the key in the ignition and turn it over. We trust that the lights will come on when we flip the switch. We trust that the chair will hold us up when we sit down on it. In Psalms 20:7, it says “Some trust in chariots, and some in horses: but we will remember the name of the Lord our God.” I want my trust to be totally in Christ. When I walk out to my vehicle and get in it… I want to trust that God has his hands on my destinations for that day. Trust Him to lead and direct me, rely upon him to see me through whatever comes my way. We live in a world that has so many advantages… and they so often make us feel in control, or feel accomplished in ourselves. I pray that I am always aware that God is in control. Place your trust in the Lord of lords and King of kings… when you do, there is peace in knowing everything will be alright!